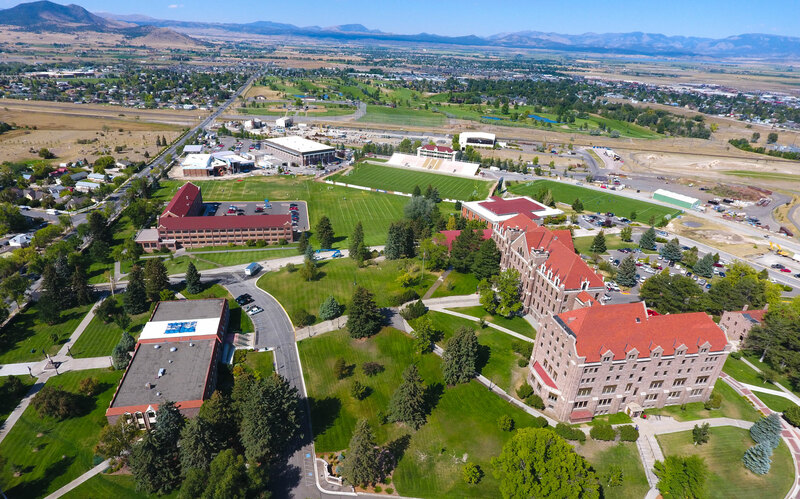 Twenty-one buildings spread across sixty-three acres of prime real-estate on the edge of downtown Helena, MT. Living on campus is an experience like none you’ll ever encounter again: all of your friends living within walking distance of your room. With much of Montana's spectacular outdoor and cultural activities at the tip of your fingers you would think that you’d spend most of your time off campus, but with the wealth of fun to be had at Carroll it’s a wonder anyone makes it home for Christmas. Life doesn't get much better than this. The Carroll Campus is located just a few blocks from downtown Helena in the center of Helena. We are just one block from a golf course and a shopping area, about 20 minutes to Canyon Ferry Lake, 30 minutes to the nearest campground and 35 minutes to a chairlift heading up a mountain for a great day of skiing.